This photo uploading facility allows you to upload any photos you may have of rabbits in your area. 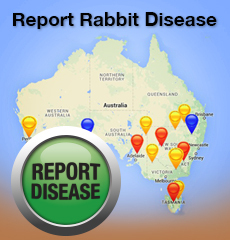 RabbitScan will display your photos for anyone to view, and we would welcome historic photos of rabbits, photos of the damage rabbits are causing, photos of control techniques being applied (e.g. warren ripping), or photos of people undertaking control work. If you have any photos you would like to share with other Rabbit Scanners, please log in and upload your photos using the form below.